An axial check valve is the preferred solution for critical non-return applications such as the protection of rotating equipment and systems where low pressure loss, stable operation and dynamic behaviour are essential. Streamlined flow path through full-port expanded body avoids turbulence and prevents erosion and vibration. Process downtime and maintenance costs are eliminated. 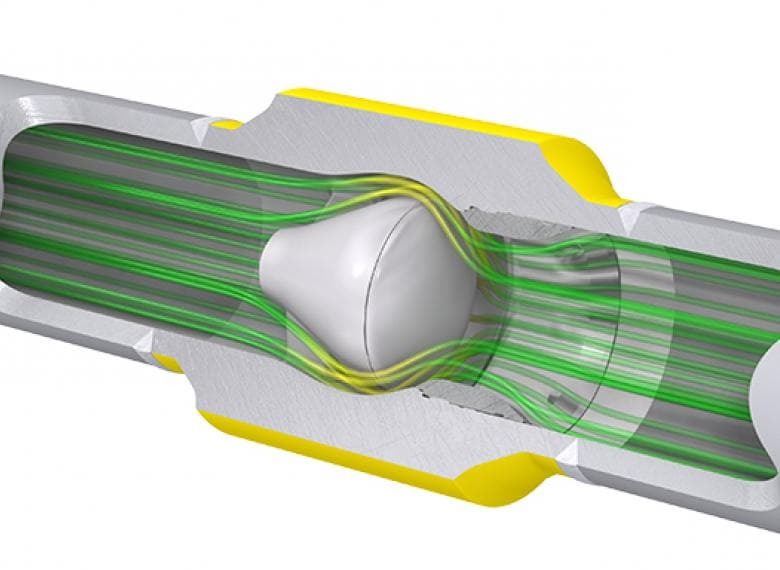 The full opening flow passage and high-pressure recovery of the venturi-shaped body result in very low pressure loss: reduced operating cost of pumps and compressors. The low static pressure in the throat area is applied behind the disc and creates a pressure differential over the disc, resulting in easy opening. Extremely stable during operation. 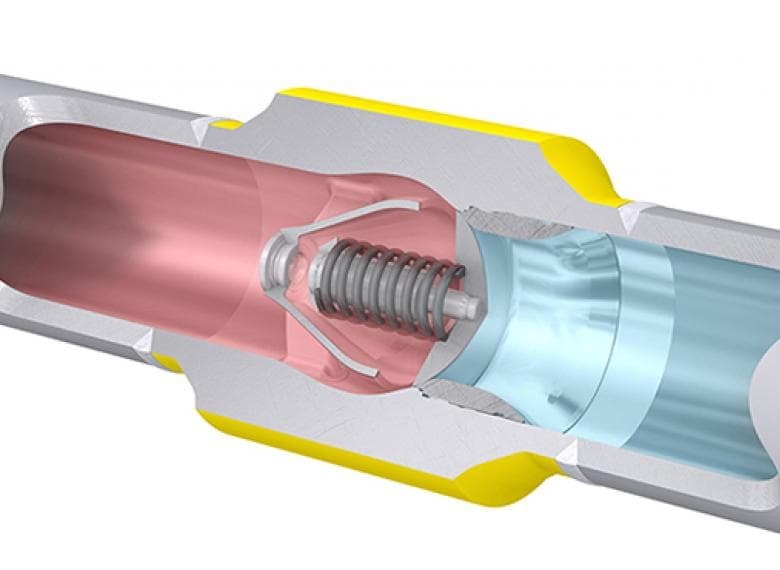 The axial check valve responds smoothly to changes in flow and remains stable when it is supposed to be. The spring-assisted design ensures ultra-fast closing without backflow and pressure surges, in critical applications such as multi-pump systems. Tight shut-off is obtained by means of metal-to-metal sealing. This sealing is not affected by erosive flow. Internal construction is based on the application of sound basic mechanical engineering principles. 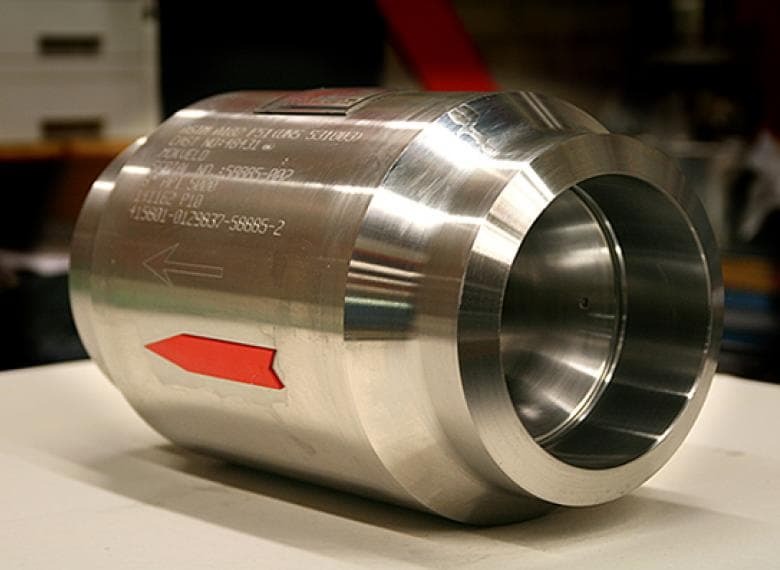 Consequently, Mokveld subsea axial check valves do not require any maintenance. If you would like to have more information about this product, please contact us. As experts in engineered valve systems, we offer reliable customer services and can support you with valve sizing and selection, process engineering and system lay-out and budget pricing. Custom-designed valve to meet the clients specific process conditions. In order to ensure you continue to benefit from valves that offer high capacity and safety as standard, our Product Support team offers a range of services to improve your valves in use and to achieve cost savings.